Crikey readers respond to the fallout in Wagga, as well as Serena Williams' controversial US Open loss. Williams’ incendiary post-match press conference, where she accused Ramos of sexism, sent the outrage machine into overdrive. 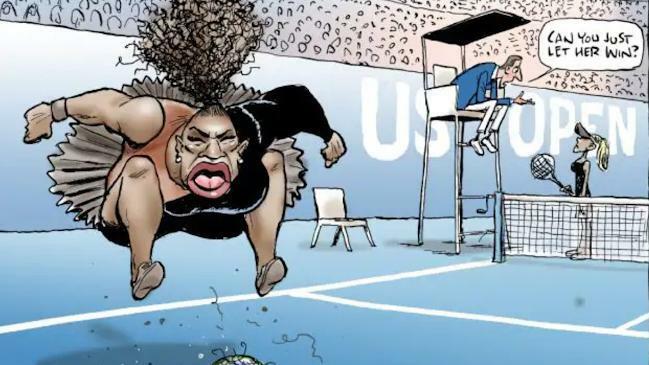 Whether or not this was a case of sexism or racism (or both), the fact is that Williams has been subjected to bigoted abuse throughout her career. Good morning, early birds. One Nation's infighting is getting worse, but they're not the only ones. Plus, another franchise business under fire. It's the news you need to know, with Chris Woods. Senator Derryn Hinch tweeted last night that he was disappointed when he watched the women's final of the Australian Open. Are tickets to the Aus Open too expensive? A Crikey tipster wonders if perhaps a bit of work needs to be done about ticket pricing to the Australian Open.